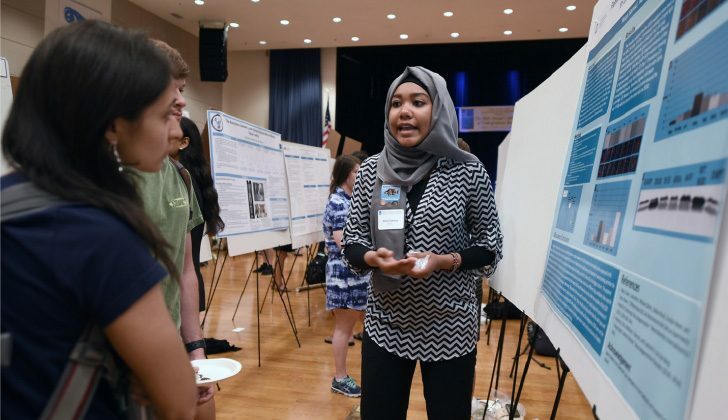 UNC undergraduates are eligible to apply for funding from OUR in order to present their original research at professional conferences (Conference Travel Funding). They are also able to fulfill a Carolina Research Scholar Program requirement by presenting at a professional conference. Please use the following guidelines to determine whether or not the conference you plan to attend would be considered a “professional conference.” If you feel that your conference does not meet these criteria but is still a “professional” conference for some reason, please email our@unc.edu. The conference must be sponsored by a professional organization or academic institution. The conference must not be specially designated for students (either undergraduate or graduate). This is usually stated in the call for papers or the call for abstracts. The student participant must be invited to present at the conference. The research conducted must be associated with UNC-Chapel Hill and the research advisor must be a UNC-Chapel Hill faculty member.